In the summer of 2017, the Centers for Medicare & Medicaid Services issued a reimbursement code that may help some HIFU patients cover some of the expense of paying for the HIFU treatment. This was great news for Medicare patients who were looking for a way to get reimbursement for some of the cost of the procedure. 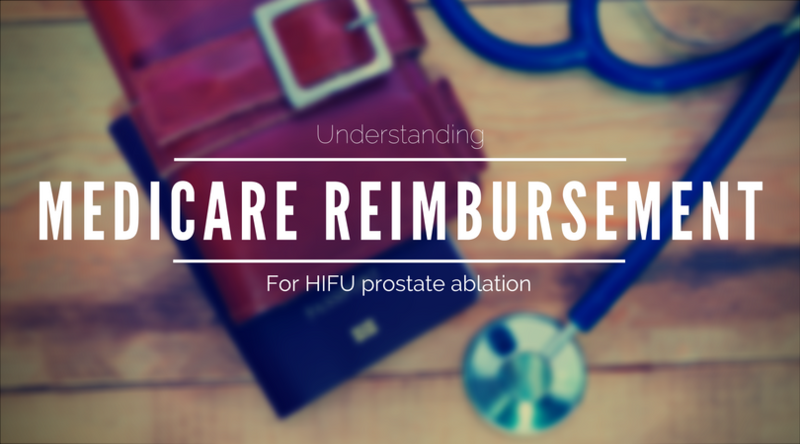 Not only that, this reimbursement code marks a significant milestone as it means that HIFU as a treatment for localized prostate cancer is becoming more accessible to men in the US and to physicians interested in providing their patients with non-invasive treatment options. However, it is important to remember that this reimbursement code does not mean that HIFU is all the sudden a procedure that is completely covered by Medicare or by private insurers. In fact, the code that was issued only applies to reimbursement for the facility where HIFU is delivered. In order to make it as easy to understand as possible, we pulled together some helpful information about how Medicare codes are defined and how to better understand the C-code that was issued for HIFU ablation of the prostate. The Centers for Medicare and Medicaid Services (CMS) issued the C-code C9747 in July for HIFU ablation of the prostate. A C-code is a part of the CMS standard coding system, called the Healthcare Common Procedure Coding System or HCPCS. C-codes are unique temporary codes that are only valid for Medicare claims for procedures performed in a hospital outpatient facility or ambulatory surgery center. This means the reimbursement code does not apply to procedures completed in an office setting or to services provided by a physician. The code only provides reimbursement to the hospital or ambulatory surgery center. At this time, the code does not apply to commercial insurers; therefore, patients not covered by Medicare seeking to pursue HIFU should expect to pay treatment expenses out of pocket. For more information on reimbursement and coding visit our Reimbursement page or call us today at 1-877-884-HIFU (4438).